On two nights in April, scientists and a legal scholar, who call Nyack home, will give presentations that demonstrate how urgent the hour is for our planet, and what we can do as individuals and a community to respond. Robin Bell is the connective tissue between the two programs. On Tuesday April 2 at 6:30p at the Nyack Center, Bell, a Professor and Polar Researcher at the world-renowned Lamont-Doherty Earth Observatory and the President of the American Geophysical Union will moderate a panel on the precise threat to our planet caused by climate change that features her colleagues at Lamont, Nicole Davi, Adjunct Associate Research Scientist, Paleoclimatology, and tree-ring expert and William D’Andrea, Lamont Associate Research Professor of biology and paleo environment, expert on natural and human-induced climate change. On Tuesday, April 16th, she will introduce her husband, Pace Law School Professor and director of Pace Environmental Litigation Clinic Karl S. Coplan. Coplan, who is also a principal outside counsel for Riverkeeper, Inc. Coplan will offer readings from his book Live Sustainably Now: A Low-Carbon Vision of the Good Life, offering practical advice on how to reduce your carbon footprint, including everything from how you eat, commute, and run your house, to life enriching travel and recreation. The programs are sponsored by the host, the Nyack Center, along with Lamont-Doherty Earth Observatory of Columbia University’s Earth Institute, NyackNewsAndViews and La Taylaye Catering and Event Design. I am honored to be one of the organizers. Tickets for each program at $20 ($35 for both) and include a catered receptions after each event. Like millions of Americans, West Nyack’s Robin Bell dreads her commute. It’s not the time it takes to cover the 26,000 mile round trip. And while she certainly misses her family during the weeks she spends at her remote workspace; that is not the worst part. It’s the carbon footprint from the passenger and ski-equipped cargo planes that troubles her the most. Robin Bell is a climate scientist and air travel is the only practical way for her to get to her “office” at Field Camp Twin Otter in Antarctica. Bell is currently one of the world’s leading experts in polar science. 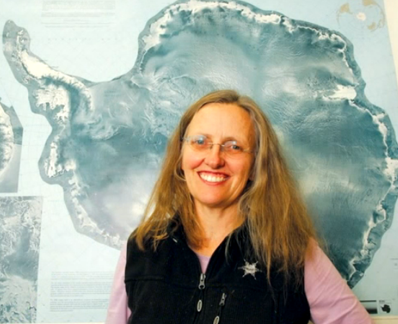 She directs research programs in Antarctica and Greenland; leads research on ice sheets, plate tectonics, and rivers; and leads the development of technology to monitor our changing planet. As chair of the National Academy of Sciences Polar Research Board, she was instrumental in launching International Polar Year 2007-2008, a major multinational push to study the polar regions. Her interests range from ice sheet dynamics to sub-glacial ecosystems. Bell studies the mechanisms of ice sheet collapse and the environments beneath the Antarctic ice sheet, including the Gamburtsev Mountains. The Gamburtsev range, also known as the ghost mountains, are as large as the Alps with a summit that never sees the sun, buried beneath 2,000 feet of snow and ice. Earth Day will be celebrated in Nyack on Saturday, April 27 from noon to 4p in Veterans Memorial Park, Cedar and Main Street. Enjoy live music, food vendors, local artisans, craft projects, unique hands-on activities, learn about recycling and gardening how-to’s. Kids’ activities include art projects and face painting. drop off used battery. Keep Rockland Beautiful, Inc. Great American Cleanup crew prior to to the event. Brought to you by the Nyack Chamber of Commerce and the Village of Nyack and sponsored by Casa del Sol, Green Mountain Energy and Summer Play Camp at Blue Rock School. 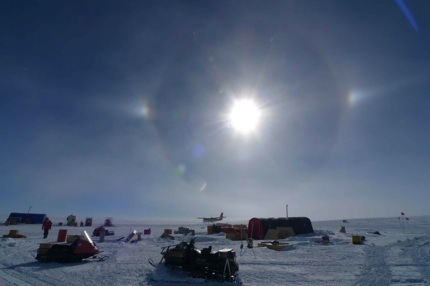 One of Bell’s recent projects included testing a new imaging system “icepod” that is designed to measure ice thickness and how much snow has fallen in the last 100 years and the temperature. Her commute north is shorter than her southern sojourn, just 2,000 miles to the town of Kangerlussag and another 3,000 to the spot where they measure the ice. Integrate your concern for the environment into your life whatever it is… art, journalism, business… we have to embrace change and move away from a lifestyle based on carbon fuels. Encourage kids to study science and engineering…. we need more really smart people working on the planet as a system if we want to keep it as a habitable place. When you are standing in Memorial Park, Bell has a simple way to fathom the elevated height of the river. “Put your hand just below your knee…. the water has gone up that far since 1900.” Bell hopes that local governments will be mindful of this accelerating trend and place critical infrastructure above storm surge levels. Even though she already gives to the fight against global climate change at the office, Bell’s activities extend beyond the traditional scope of scientific research. Bell was the director of the ADVANCE program at Columbia’s Earth Institute from 2004-2011 that increased the participation and advancement of women scientists and engineers at the University. She was also instrumental in the development of the International Polar Year 2007-8. Most of us are as likely to walk on the moon, as we are to step onto the ice at the South Pole. 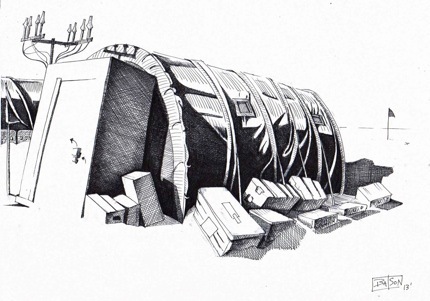 But what happens underneath Antarctica’s frozen surface shapes our future. Which is why we are fortunate that one of our neighbors is willing to make the trip for us. Let’s just hope that policy makers have the wisdom to comprehend the implications of her findings and the integrity to take corrective action. The Ice Beneath Their Feet from Lamont Doherty on Vimeo. Learn about climate change from leading experts. 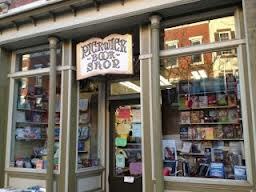 World renowned scientists from Lamont-Doherty Earth Observatory in Palisades, NY will visit Nyack. 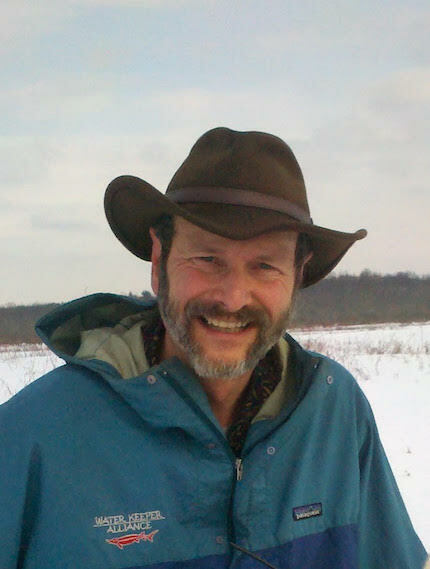 April 2, How Urgent is the Moment: Facts on Climate from Lamont-Doherty Earth Observatory. Moderated by Robin Bell, Professor and Polar Researcher and President of the American Geophysical Union. Panelists include Nicole Davi, professor of environmental science, paleoclimatologist, and tree-ring expert; and William D’Andrea, professor of biology and paleo environment, expert on natural and human-induced climate change. Karl Coplan, kayaking to work. April 16, Live Sustainably Now. Moderated by Pace Law School Professor Karl S. Coplan, director of Pace Environmental Litigation Clinic and principal outside counsel for Riverkeeper, Inc.
Coplan will give practical advice on how everyone can reduce their carbon footprint–from how you travel to how you manage your home. 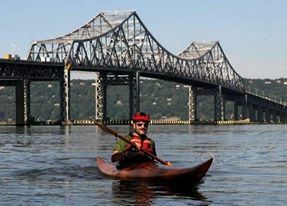 Coplan leads by example, having commuted to work across the Hudson River via kayak until new bridge construction restricted his access. Each discussion begins at 6:30p, and is followed by a meet-and-greet reception with the presenters, sponsored by La Talaye. Reservations are highly recommended. Tickets for each event are $20, or the public can purchase both for $35. 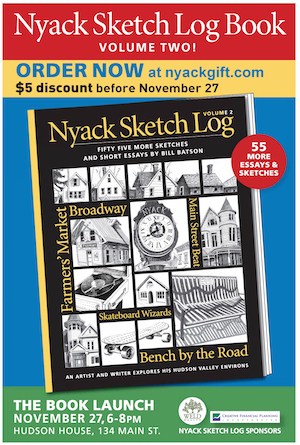 Visit NyackKnows.com for information and reservations.